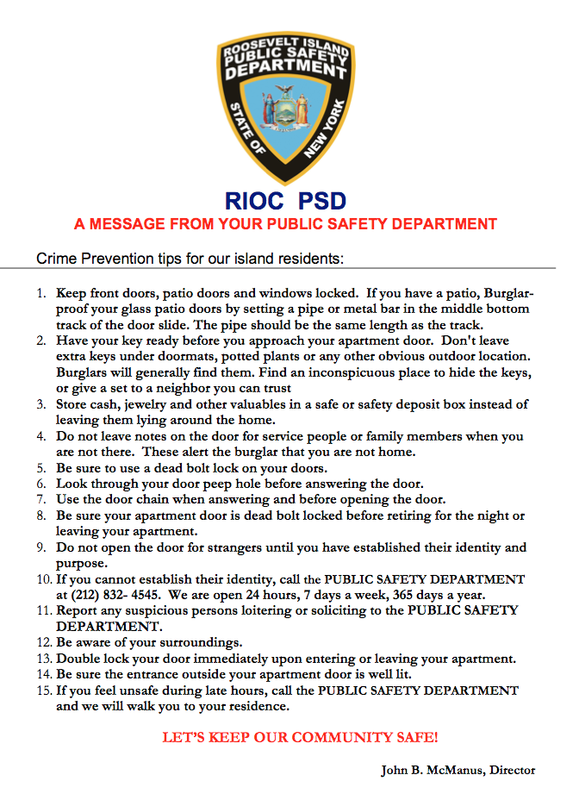 Roosevelt Island Public Safety Department Director Jack McManus sends the following message to the Roosevelt Island community. BE ALERT! BURGLARIES ARE OCCURRING! 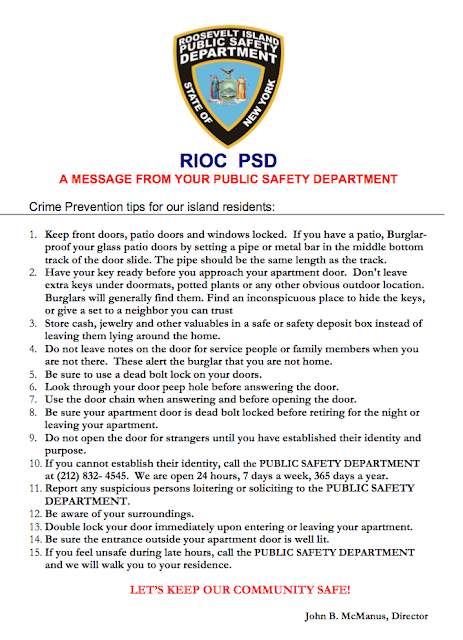 Roosevelt Island is experiencing a rash of burglaries. We have increased patrols and taken every measure in an effort to apprehend those responsible. The Public Safety Dept. is working very closely with the 114th Pct. in an effort to prevent further occurrences. 1. Report any person(s) who is/are acting suspiciously. 2. Patio doors, windows and screens should be locked and secured. 3. Be sure your place of business is lighted adequately at night, both outside and inside, i.e., the alleys and rear of store, all entry points, a night light and a night light over the safe (if you have one). These are deterrents against thieves, who like the DARK. 4. You should have adequate locks installed, cylinder-type, dead-bolt locks should replace hasps and padlocks, where possible. 5. Panels and glass should be protected against being kicked in. 6. Bars on the inside prevent breaking in the entire door. 7. Install an adequate Alarm System, which you should test periodically to ascertain that it is in good working order. 8. Check all windows, doors, etc. before leaving at night to make sure everything is secure. If you have any information that would help in the apprehension of those responsible for these criminal acts, please contact the Public Safety Department immediately at (212) 832-4545. All information will be kept strictly confidential. 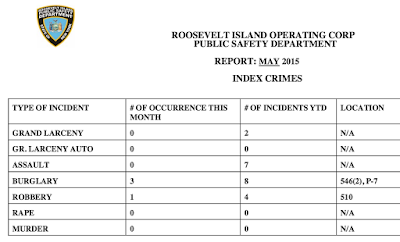 According to the most recent RIOC Index Crimes Report for May 2015, there were a total of 8 Roosevelt Island burglaries from January - May 2015. 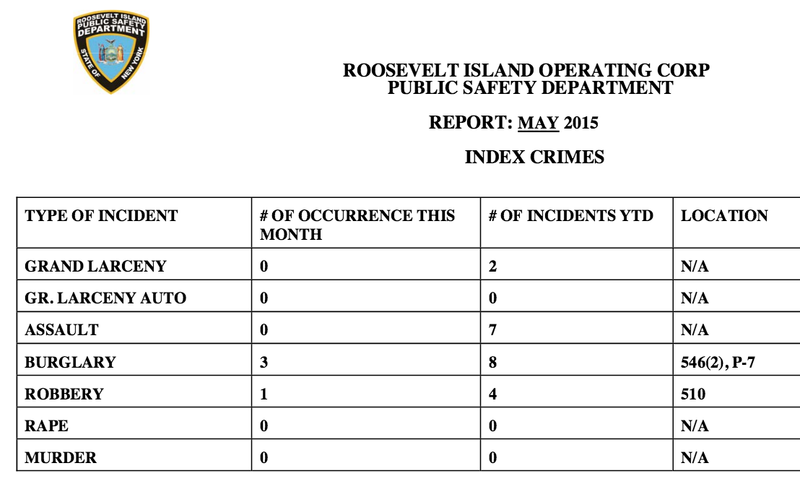 No information available on Roosevelt Island burglaries from June 2015 to date. 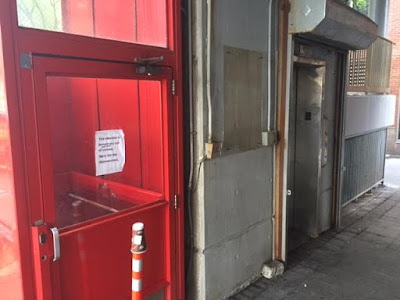 8/9/2015 – 1450 – 510 Main St – Burglary – PSD/NYPD responded. Report Filed. That's 4 in a row weekends of Roosevelt Island F train service to and from Manhattan. Does anyone know if the @RooseveltIsland tram is handicapped accessible to wheelchairs on both ends? RIOC never answered my inquiry email. Here we go again. 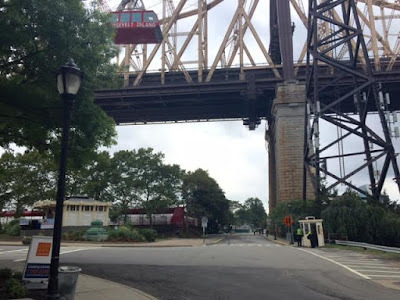 Both the Roosevelt Island Manhattan Tram Station elevator and red lift are out of service. to and from Manhattan while both elevators are out of service. 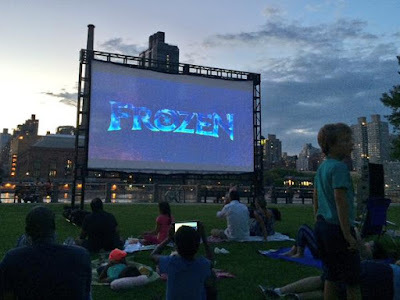 ROOSEVELT ISLAND TO MANHATTAN: Departs hourly from the bus stop near 455 Main Street (near Riverwalk Bar and grill) with the last Manhattan bound bus leaving at 8 PM. Additional stops are located at 546 Main St. (opposite Good Shepherd Plaza) and opposite 645 Main Street (opposite P.S/I.S. 217). MANHATTAN TO ROOSEVELT ISLAND: Departs hourly from the southwest corner of 58th St. and 2nd Ave. with the last Island bound bus being at 8:30 PM. Additional stops are located at 645 Main St. (P.S./I.S. 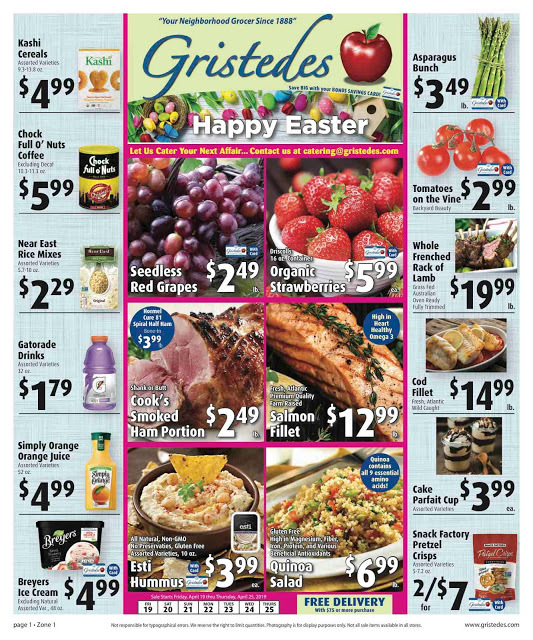 217), 579 Main St. (M&D Deli), 543 Main St. (Good Shepherd Plaza), 425 Main St. (Riverwalk Bar & Grill), and the Roosevelt Island Tram Plaza. Following a previous outage, the Manhattan Tram Station passenger lift is back in service. Shuttle bus service ending. Last Manhattan bound bus at 2 PM, last Roosevelt Island bound bus at 2:30 PM. The Manhattan Tram Station elevator and passenger lift are temporarily out of service. An advisory will be issued when service is restored. RIOC Shuttle bus service schedule will follow in a separate advisory. Notification issued 08/14/2015 at 11:04 PM. 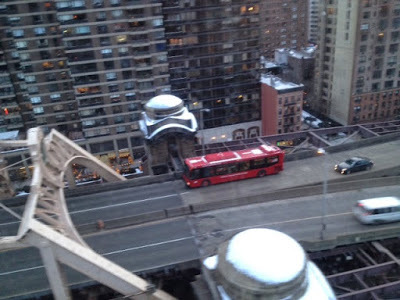 Due to an elevator and Lift service outage at the Manhattan Tram Station, the RIOC Red Bus will provide special shuttle service to and from Manhattan for those with limited mobility. Schedule information is below. 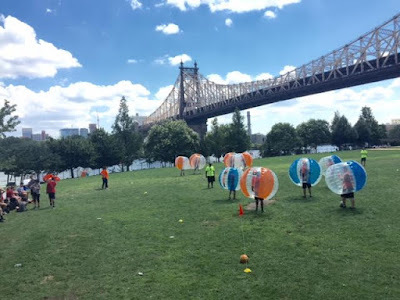 ROOSEVELT ISLAND TO MANHATTAN: Departs hourly from the bus stop near 455 Main Street (near Riverwalk Bar and grill) starting at 10:00 AM with the last Manhattan bound bus leaving at 8 PM. Additional stops are located at 546 Main St. (opposite Good Shepherd Plaza) and opposite 645 Main Street (opposite P.S/I.S. 217). The following Roosevelt Island organizations received funding from Roosevelt Island's NYC Council Member Ben Kallos for fiscal year 2015-16. To fund programming for seniors at the center offering different exercise classes to better enhance the livelihood of our senior population: tai chi, zumba, pilates, yoga, building strength ,salsa, arts and crafts and computers. 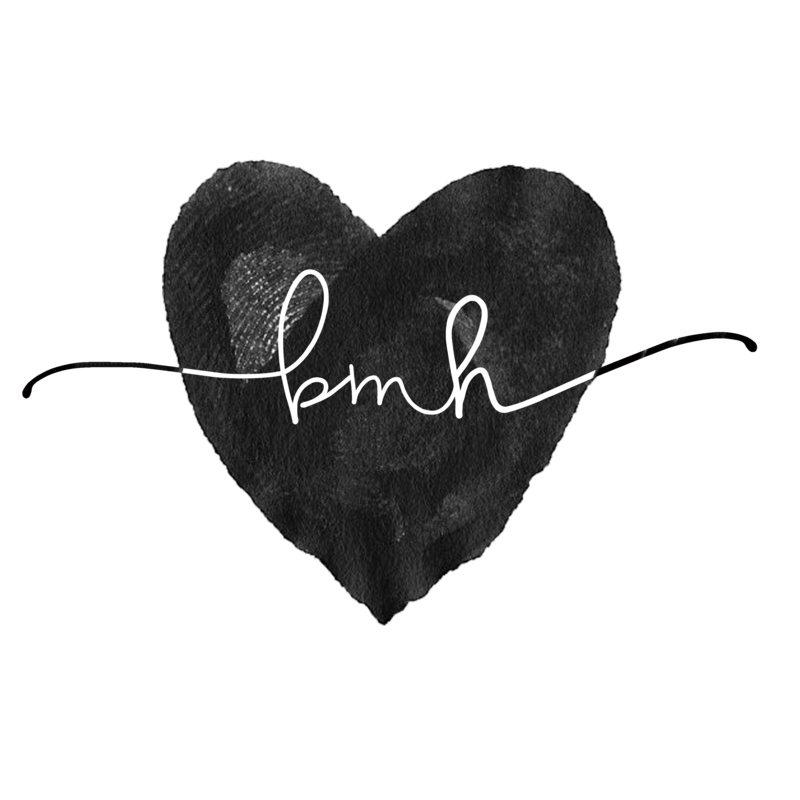 To support a community Youth Center which will operate afterschool and on weekends to offer computer labs, music programs, game room, television room, educational programming, SAT Prep and High school prep classes. To fund piano, drums, guitar and violin lessons to youth ages 8 to 15, beginners and intermediate lessons will be offered. To support summer concerts such as musical and dance performances. To present performances of classical music at the Good Shepherd Center on Roosevelt Island. With no admission fee and complemented by outreach performances for members of the community with limited mobility. Funds will be used to provide tools and materials for sets, costumes and lighting for student productions for the 2015 season. To provide Learn to Ride classes for kids on Roosevelt Island and to purchase helmets to give away to kids at these classes. Funds will be used to support the visitors center, activities including programs, lectures and tours, and maintenance and dissemination of artifacts and historical documents. Support services include landscaping, consumable supplies, and utilities and telephone. To fund bus transportation cost: Bus drivers, Insurance, costs to maintain and repair bus as needed. Bus needs Heat and AC repair and repairs of its lending wheelchairs and scooters Communications Phone and Fax and Internet access Postage, Office and printing supplies Paper and plastic Supplies for pot luck dinners held through the year along with a Thanksgiving Day meal. 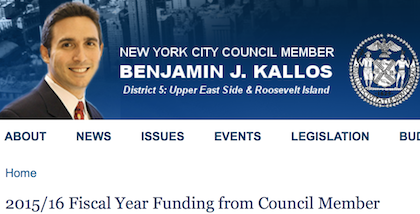 The full list of NYC Council district 5 organizations receiving funds for fiscal year 2015-16 from Council Member Kallos here. Also, the 2016 Participatory Budget process begins with a Roosevelt Island Neighborhood Assembly 6:30 PM Wednesday August 19 at the Good Shepherd Community Center (543 Main Street). 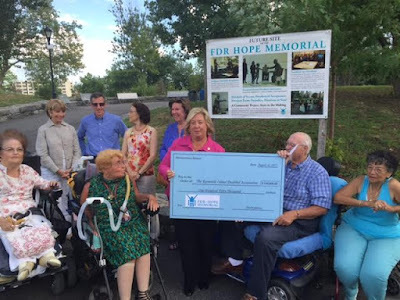 Roosevelt Island's NY State Assembly Member Rebecca Seawright presented Roosevelt Island Disabled Association (RIDA) President Jim Bates with a check for $150 Thousand to complete funding for the FDR Hope Memorial yesterday afternoon at Southpoint Park. On a beautiful August summer day on Roosevelt Island, Assembly Member Seawright presented Jim Bates of the Roosevelt Island Disabled Association with a $150,000 check from a charitable individual who wishes to remain anonymous. The donated funds will allow RIDA to move forward with the FDR Hope Memorial project, which has been in the works since 2009. The memorial will be located in Roosevelt Island’s Southpoint Park. Sculptor, Meredith Bergmann, has been commissioned to create the statue of President Franklin Delano Roosevelt seated in a wheelchair reaching out to a young girl with a crutch. The memorial signifies the strength of those with disabilities in overcoming adversity. 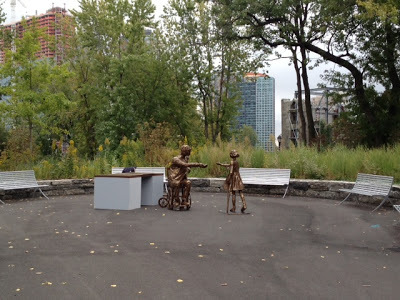 The sculptor and the Roosevelt Island Disabled Association expect that the FDR Hope Memorial will be complete by Fall 2016. Here's Ms. Seawright presenting the $150 Thousand check to Mr. Bates. The FDR Hope Memorial will open in the fall of 2016. ... we can present this not only to New York City, but to the world. This will inspire people around the world in the challenged and disabled community that they are an enabled community and they can be whatever they choose to be. Prior the the check donation ceremony, former RIDA President Virginia Granato spoke about her feelings at seeing fundraising for the FDR Hope Memorial completed. In addition to the anonymous $150 thousand donation, the FDR Hope Memorial received $150 Thousand from NYC Parks Department and $100 Thousand through the efforts of the FDR Four Freedoms Park as well as some smaller individual contributions. and my 2012 interview with Ms. Bergmann and Mr. Bates showing a mock up of the FDR Hope Memorial. 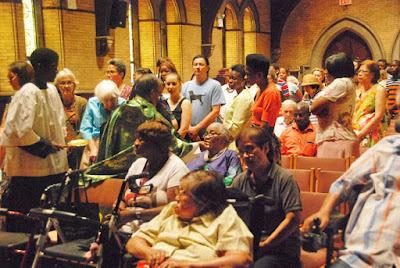 The efforts to build a memorial on Roosevelt Island depicting President Roosevelt in a wheelchair began in 2009 when RIDA opposed and protested the Louis Kahn FDR Four Freedom Park design proposal for not portraying in any manner President Roosevelt as a disabled person. Congrats to all involved in the project. at Roosevelt Island's Firefighters Field. Here's some of the action. UPDATE 8/14 - Group picture of the players from Twitter. 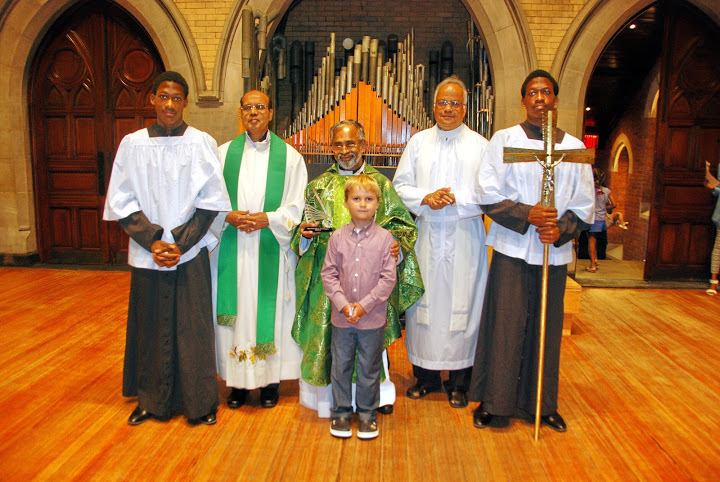 who is leaving Roosevelt Island after 1 year to minister at St John The Evangelist in Mount Carmel NY. as the new home for the parish. 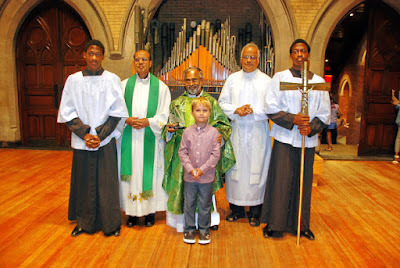 He has also built a good relationship with the Episcopalian parish here, and we have had social events with both parishes -- the Episcopalian parish was invited and attended our picnic. All Good Stuff from Fr. Thomas. donated a fair amount of food (hot dogs, hamburgers, chicken, etc.) 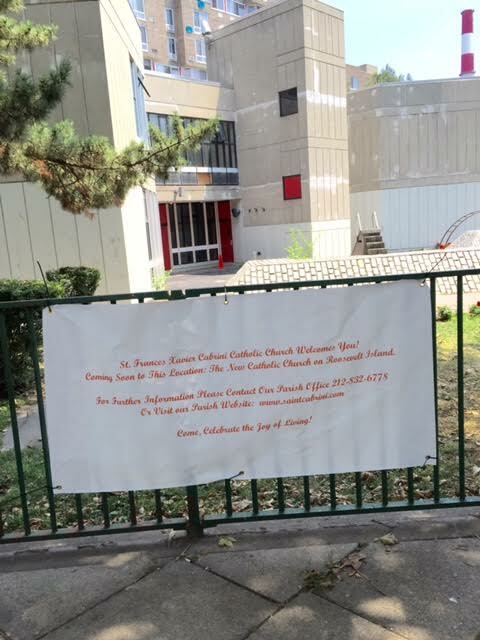 for our parish picnic. The Seniors Association helped with the venue: thanks to Dolores Green, Marilyn Atkins, and Barbara Parker. and plays an enthusiastic game of ping pong. 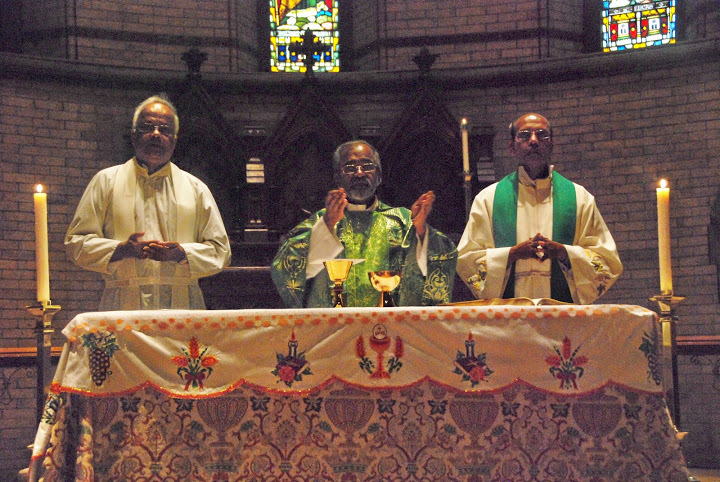 More pictures of the goodbye to Fr. Kallumady from Mr. Farance here. Welcome Fr. Baker to Roosevelt Island. 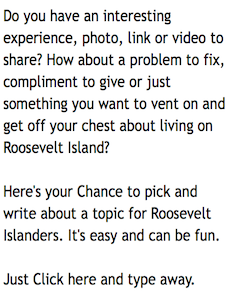 I'm a resident of Roosevelt Island and student at NYU School of Professional Studies on Photography. My course project has a very personal theme, developed from sketch to presentation on the walls of a NYC art gallery. My project is about Synchronized Swimmers having their practice in Space. 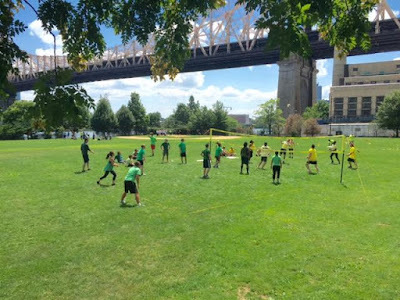 I had the collaboration of the Roosevelt Island Sportspark Pool, of synchronized swimmer athletes and orientation from NASA professionals to develop my theme. The swimmers are members of two Synchronized Swimming teams from New York: Gotham Synchro and Waterworks. I was part of Gotham Synchro during the winter and joined the Waterworks for the summer. The meaning behind the pictures is a surreal environment. 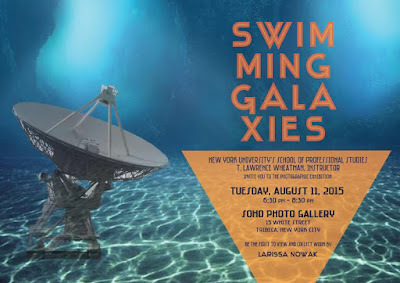 The 12 pictures to be presented at the exhibition were taken at the Roosevelt Island's Sportspark pool and at the Manhattan Plaza Health Club. The Synchro Swimmers appear to be swimming into the galaxies and mass of stars, like they were real creatures that can beautifully swim on space. 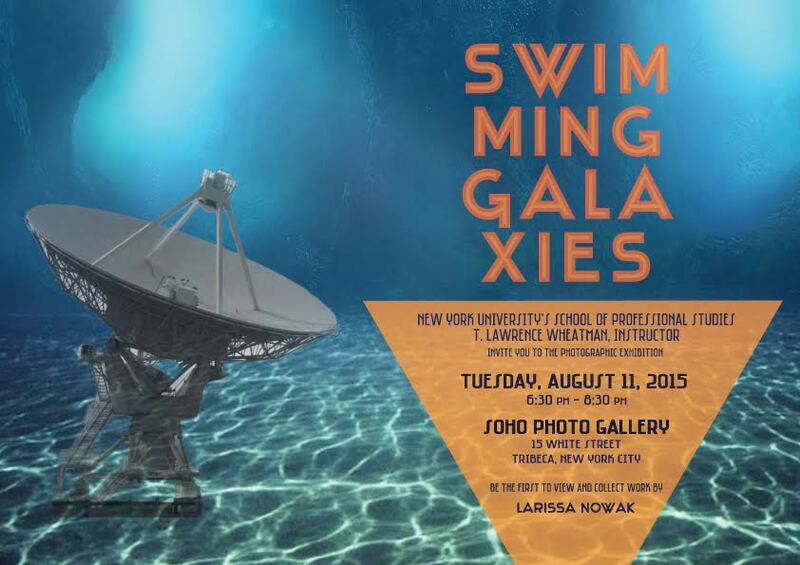 The Swimming Galleries Project combine two passions of mine, Synchro Swimming and Space. 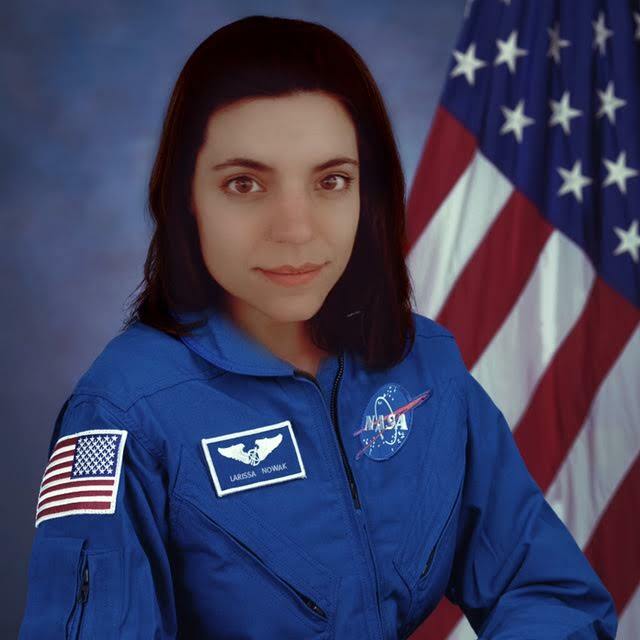 I was always fascinated about Space. I love to observe the sky and to learn about the space. For this project I was lucky to have NASA professionals collaborating with me. I find really impressive that they dedicate their lives to study the mysteries of the universe. I also have always danced the ballet, since I started as a kid. Looking forward to face new challenges I wanted to learn the water ballet. Then started to photograph my colleagues. I want people to wonder about the universe, to be interested in space news and interested to learn about the world we live in. The advice and encouragement of my mentor and teacher at NYU, T. Lawrence Wheatman, for Swimming Galaxies was greatly appreciated. Please be advised that contractors will begin the pruning & removal of several trees on Tuesday, August 11, 2015 at 9 AM. The work will begin at the SW corner of the West promenade near 585 (behind the Child School) and head north to 625 and will include 5 trees in total. The work will be completed on Wednesday, August 12th. This project is being undertaken by Mark Greenberg Real Estate Co. LLC (Island House and Westview) and will occur entirely on their property. 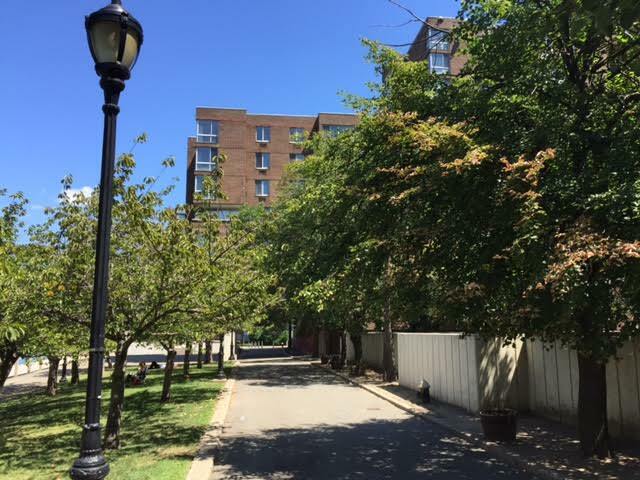 Cutting down trees is taken very seriously by Roosevelt Island residents. The trees in the picture are located in general area of work to be done and are not necessarily those which will be pruned and removed. 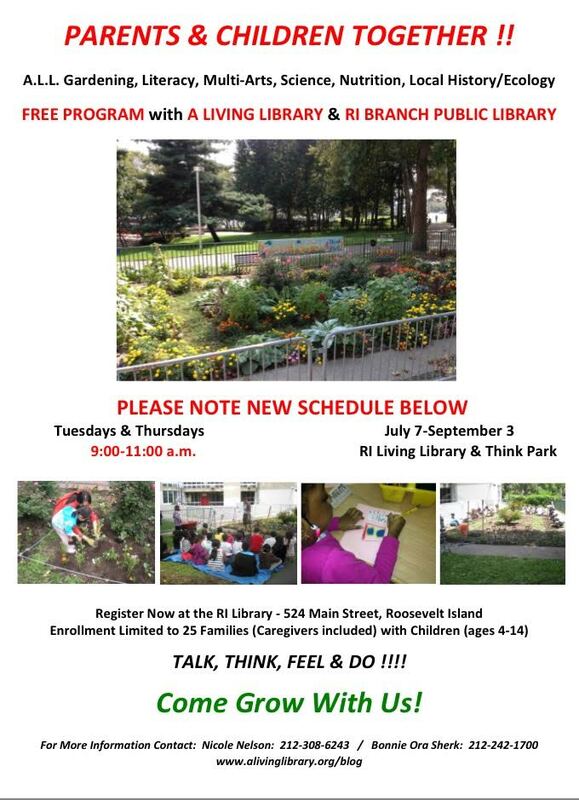 The A Living Library/Roosevelt Island NYPL Roosevelt Island branch parent-child gardening program, held Tuesdays & Thursdays, 2-4 pm has been rescheduled. The new schedule is 9am - 11am. Tuesdays and Thursday, for the duration of the program August 11 to September 3. We made this change in consultation with the parents presently attending and those enrolled. 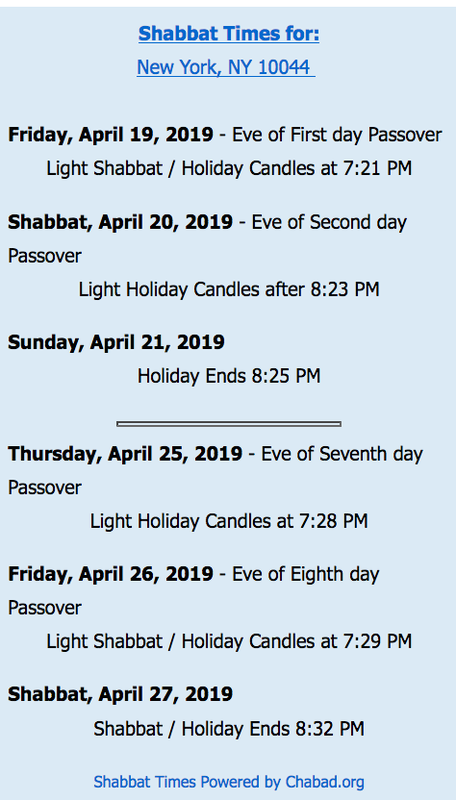 We hope this schedule-change will make it easier and encourage more of our enrolled parent-child teams to join us and invite newcomers into our program. There is plenty of room for more participation. 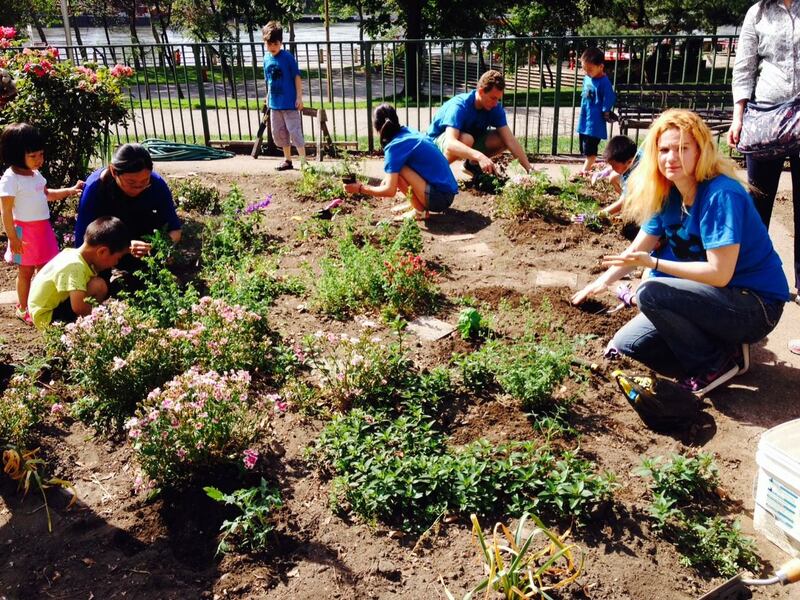 Please meet us in the garden at 540 Main Street. We hope to see you there. We have had a lot of fun learning the arts of gardening. Our participants have enjoyed delicious, robust, freshly picked, organic cucumbers, taken home green peppers, edamame and tomatoes, and a substantial harvest of sun-dried-on-the-vine, home-grown coriander seed.